On Dec. 1, a new dressage rule—DR129.9, which states “in order to enter a freestyle class at any level, a horse/rider combination must have received a minimum score of 63 [percent] in the highest test of the declared freestyle level or any test of a higher level” —went into effect, raising the required percentage over the previous score of 60 percent. But on the same day, the U.S. Dressage Federation board of governors at the Adequan USDF Annual Convention voted to ask the U.S. Equestrian Federation Dressage Sport Committee to rescind that new rule over concerns with both the process in which the rule was enacted and the content of the rule itself. 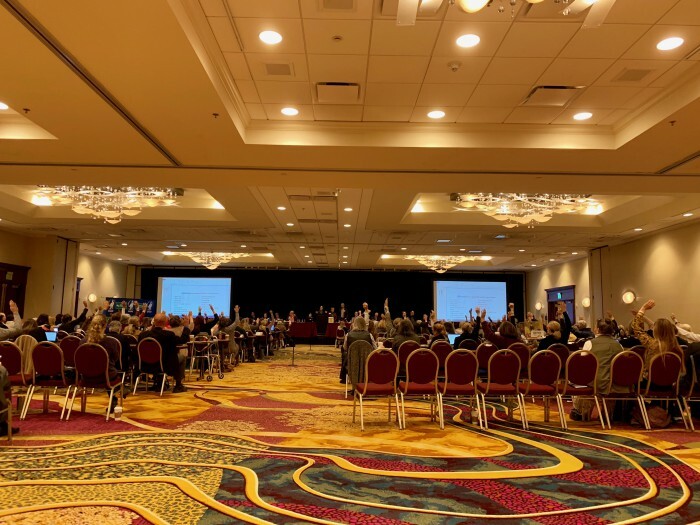 The USEF board passed DR129.9 as an extraordinary rule change at its mid-year meeting in June. The reason for that, according to USDF representatives, was to align the rule with the new 2019 dressage tests. But many board of governors members resented that the rule was passed without more BOG input—and without some even knowing about it until after it was written into the USEF Rulebook. According to a USDF statement released on the first day of the board of governors meeting, the rule was discussed in the USDF Freestyle and Judges Committees for several years as both groups noted “the technical proficiency that seemed to be missing in some freestyles.” This spring, the USDF Judges Committee sent a proposal to the USDF Executive Board to increase the score to 63 percent. That proposal was then forwarded to the USEF Dressage Sport Committee as a proposed rule change. Though the USDF committee didn’t specifically request the rule pass as an extraordinary rule change, the group did note the desire for it to be enacted at the same time the new dressage tests went into effect on Dec. 1, 2018. Several BOG members stood up to express displeasure with the process. “I think the bar should be raised,” said Barbara Cadwell. “I think 63 percent is appropriate. However, that’s not the issue before us. The issue is, ‘Was it appropriately implemented?’ Any discussion of, ‘Should it be raised? How much should it be raised? Should it be raised for adult amateurs?’ That’s not appropriate right now. The issue is, ‘What is the USDF?’ It’s not the Judge’s Committee. The Freestyle Committee is not the USDF. 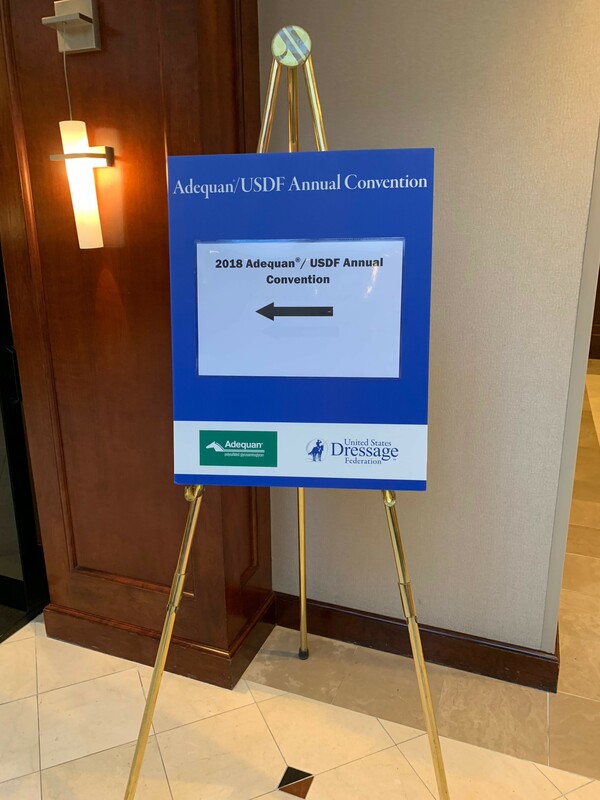 The USDF Executive Board is not the USDF. It is a creature of this group. I believe this was inappropriately implemented. And others did object to the raising of the prerequisite score. Though the USDF release stated the change would affect 9 percent of competitors, at all levels, from training to Grand Prix, some noted it would unfairly impact certain groups. “We’re a club of less than 75 people. Most are nobodies. These are people for whom a $1,000 horse is a big purchase; a $7,000 horse is an extravagance,” said Jane Marie Law of Cayuga Dressage & Combined Training in New York. “They breed horses in their backyards. We have one [USDF] gold medal recipient. Before the start of the board of governors meeting, during the USEF Open Forum, FEI five-star judge Gary Rockwell spoke passionately about the necessity of raising the bar for all dressage competitors. “Over the years, the standards for everything has moved forward,” he said. “We don’t want to leave people who need the most help behind. Everyone should improve; we should move forward as a group. I would be embarrassed to fight the idea of improving my students. I’d think, ‘I can’t product a lower-level rider and horse to a 63 percent?’ I’d have to get a little busy helping my own education and helping my students. It’s not unreasonable. I don’t want to fight it. The final vote on the motion, which stated the group “move the [USDF] Executive Board to be directed to submit an extra rule change request to the USEF to rescind the Extraordinary Rule Change to DR129.9 under GR152.3,” passed with a tally of 952 yes votes, 471 no votes, and 25 abstentions. As for what happens next? No one is quite sure. First the USDF BOG request will go back to the USEF Dressage Sport Committee for consideration. As for now, the new rule stands. Read the Dec. 24 issue of The Chronicle of the Horse for a full report from the USDF Convention.